SourceChain – A platform for hiring. The product allows candidates to find jobs and hirers to find talent: without having to go through recruiters. 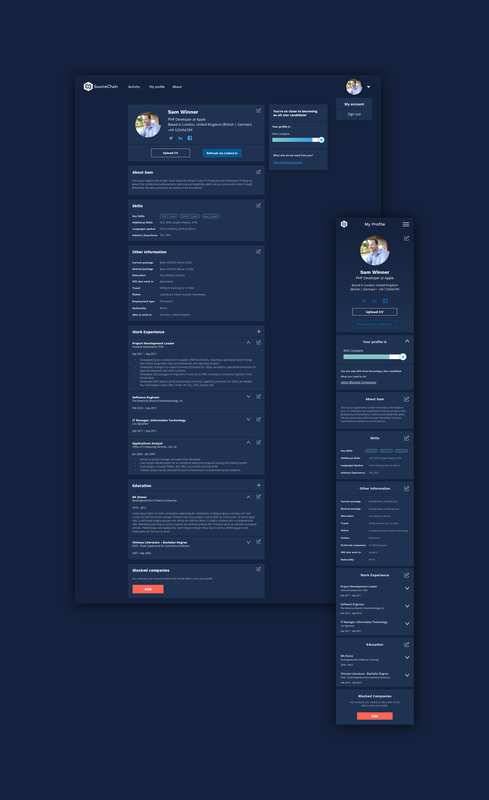 To update the UI of the candidate-view for SourceChain. 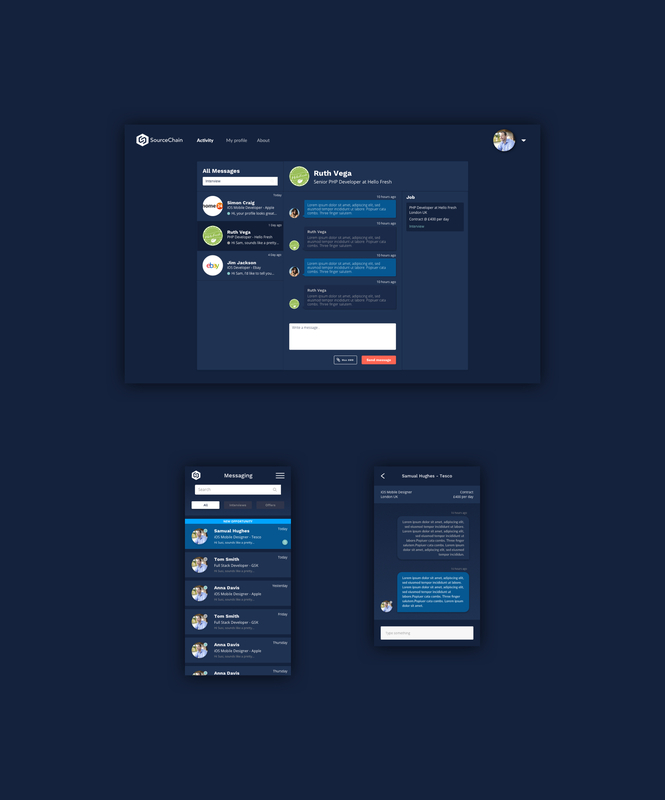 The company has recently undergone a major re-brand, my role was to update the UI to ensure it is inline with the new brand guidelines.